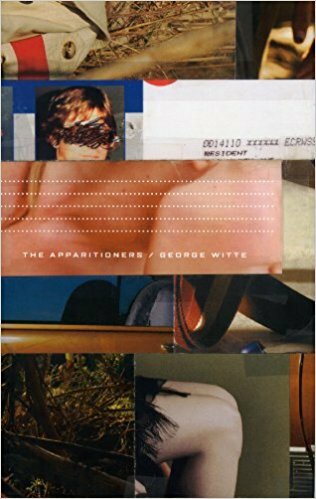 Through a coincidence of marriage (my brother's) I happily got to know and occasionally play tennis with George Witte, Editor-in-Chief of St. Martin's Press and established poet. He was a generous and invaluable font of advice and insight and I am forever grateful for that. For a variety of reasons I have not seen him in quite a while, but I did recently see an interview of him. "When I’m reading, I’m really listening…for a voice, a sense of urgency, a passion for the subject that excites me even if I have no previous knowledge of or interest in the subject at hand. Yes, other things are important: how many books on this subject have been published recently, how have they sold, and how is this proposed book different? Does the author have a “platform,” which can mean anything from he/she is a journalist who has published widely on the subject, or is an academic writing for a general audience, or is an expert for some other reason, or has contacts with individuals, groups, organizations, and media that can help the publisher sell, market, and publicize the book. But the key thing is the author’s voice, which no amount of proposal-laundering and packaging can supply. The best books have a distinctive sound and it’s audible from the very first encounter." Obviously, to get in his reading pile, you need an agent, but what the above hints at is there are considerations that outweigh the platform and that a platform can be many things. Think different. Innovate. Be authentic. Be true. Be unique. Or, as Saint Pio said, "Pray, hope, and don't worry." And focus on writing a damned good manuscript. There is no more important piece of a book proposal than the oft bespoke Platform. A book proposal in its simplest terms is a marketing pitch for the book. It lays out the business case for your product. It's a sound product that solves a problem and we know who the market is for it, they want it, and we know how to speak to that specific market. The platform is the last piece, that you know how to speak to the market for your book. This doesn't means the specific pitch or words, but that you already have access to the market, you have an audience of these people and it is large. There will be whole other posts on the platform, but it declares that, for example, you have a blog that receives 20,000 hits each month, or more. You have connections in the media that have already promised exposure on Ellen, People Magazine, and a host of other popular shows. Or it could be that you are famous. Of course, most people don't have a blog with a huge audience, aren't personal friends with Ellen or famous. This is where I come in. There are ways to identify your platform or establish one and present it in a clear and concise manner on your book proposal. THE BIG POINT IS: DON'T LOSE HOPE. There's a way forward for everyone.